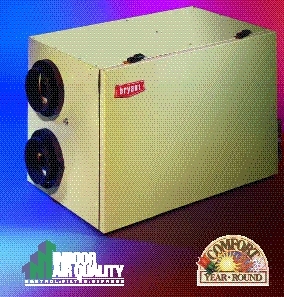 Engineered for superior indoor air quality and maximum energy conservation. The emphasis is always on the individual client's needs to balance cost and the desired high tech features. 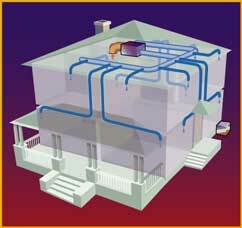 Hybrid solar / Geo-Thermal heat pump for houses, offices or schools, any building can be heated fossil fuel free. For a complete description of the E-Max hybrid solar / geothermal system click here"
System BTU's / Dollar is where the effectivness of your fuel dollars are ultimately measured and compared. Where is your system on this list? Based on current fuel price trends, this chart shows the installation of any propane fired equipment is not very cost effective with fuel oil not much better. Natural gas is still a cost effective fuel source but any new construction or replacment systems should seriously consider using some form of geothermal or hybrid solar geothermal with perhaps a wood pellet stove for a back up or peak heating load unit. Installing a fuel oil or propane boiler today is like buying gasoline for a 1966 Cadillac with a 460c.i. V8 dual 4bbl carbureators compared to going "E-max" with the fuel economy of a Toyota Prius. System efficiencies include typical pumping, piping, stand-by & heat exchanger losses where applicable. Equivalent No.2 fuel oil price = price oil would have to be to be equally cost effective to the alternative energy source. Reduce your energy cost 60% to 80%, Compare the BTU/$!!! Small wall Mounted, 97% efficient gas boiler, Up to 180,000 BTU/HR can be used as a peaking boiler to reduce geothermal and solar installed cost for larger buildings. Did you know that if you use one of these high efficiency boilers for heating water above 130F the efficiency drops by 10% to 15% as you loose the condensation advantage? 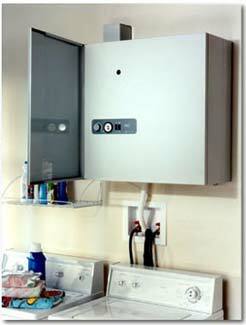 The system must be designed to use low temperature water to maintain the advertised efficiency. Solar Panels can raise geothermal efficiency by up to 100%, cutting electrical consumption in half. Tight homes need fresh air with energy efficiency. Energy recovery units can either heat only or, some models recover both heat and moisture. 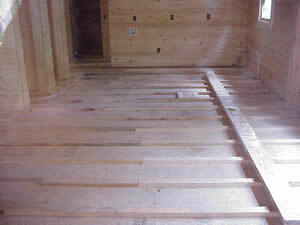 Smaller homes need to recover heat only while larger homes need recover moisture also to keep them more comfortable. 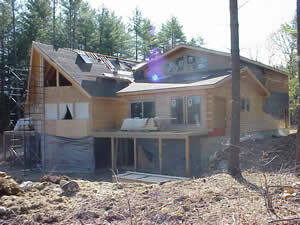 Super Insulated Foam Panels for a Nearly Airtight Building Shell, R40 walls, R60 Roof make the heating system so small its size is based on the domestic water heating load and home heating is secondary.